At its end-of-year meeting, December 3, the board of directors of the American Friends of the Lebanon Mountain Trail (AFLMT) approved a $10,000 grant to the Lebanon Mountain Trail Association (LMTA) to support its signposting program. The grant followed on an earlier “seed” grant made in late 2014 for the development of a prototype for the trailhead signs as well as cost estimates and other details for the full, trail-wide program. Following the earlier grant, LMTA did develop an overall proposal for the signage program, including two prototype designs. 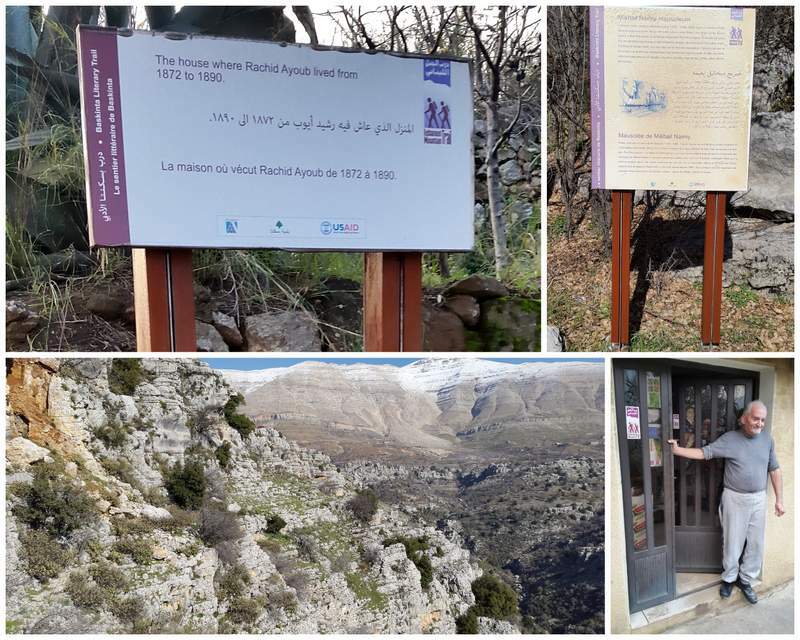 The proposal envisioned the production and installation of a total of 27 signs with information panels to be placed in each village along the Lebanon Mountain Trail (LMT) where two sections of the trail intersect. These prominent signs (see designs below) will include a description of the area (e.g., name of village, section number, length of trail and approximate walking time, total ascent/descent, level of difficulty, points of interest, etc.) as well as environmental and ethical guidance (e.g., no fires, carry-in/carry-out trash, preservation of flora and fauna, pets, hunting prohibitions, etc.). The overall cost of the project was projected to be approximately $77,000. Although the signpost proposal was submitted to AFLMT in 2015, the board of directors postponed action on a possible grant until 2016 due to the perception that LMTA had too many other competing priorities. However, in December of this year, with further assurances from LMTA leadership that the organization now is in a position to move forward with the signage project, the AFLMT board of directors unanimously and enthusiastically approved the $10,000 grant. It is anticipated that the grant will prove sufficient to cover the cost of constructing and installing at least four of the trailhead signs at locations to be determined in the near future. The signs will include recognition of the financial support received from AFLMT. The board of directors encourages friends and supporters of AFLMT and the LMT to consider donating toward the signpost project. Opportunities still exist for supporters willing to contribute $2,500 or more toward the project to designate the section where the sign will be placed and to receive recognition in the text of the affected sign.